How would you like to WIN $1500!!??!! How...by purchasing the winning golf ball!! 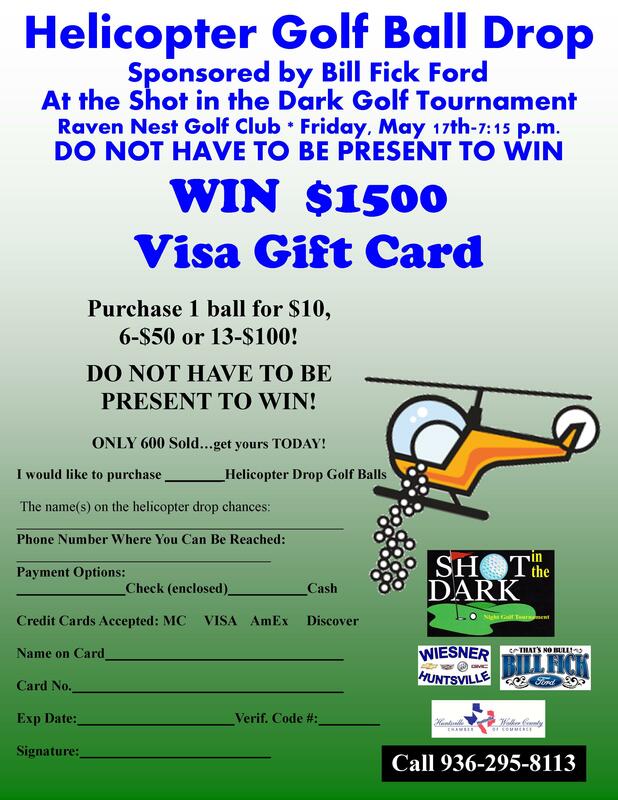 The Helicopter Golf Ball Drop, sponsored by Bill Fick Ford, is held in conjunction with the Shot in the Dark Golf Tournament, presented by Wiesner, at Raven Nest Golf Club. 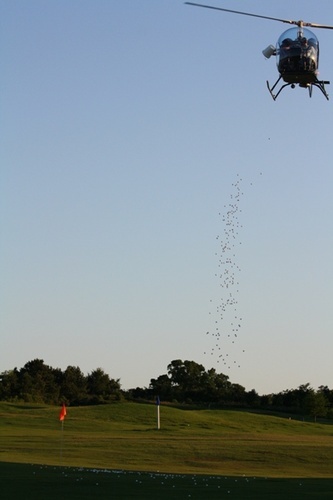 A maximum of 600 golf balls, purchased prior to this point, will be dropped over a designated hole on the course. The winner will be determined by being in the bottom of the hole or the closest! ANYONE can purchase one of these coveted golf balls, whether they play golf or not. AND the best part is you don’t have to be present to win, however we would love for you to stop by and watch with us! If you can't make it, you just need to provide us with your phone number and we will call you to claim your prize! Golf balls are only $10 each, 6 for $50 or better your odds and purchase 13 for $100. Click here for the registration form or call 936-295-8113 !